"Sayoni has worked in publishing for over thirteen years, including at Oxford University Press and Penguin India. She was in charge of the children’s list at Puffin India, before she joined Scholastic India as publishing director, a position she held for several years. Most recently, she worked at ACK Media as the group publisher. As an editor she has worked with well-known authors like Siddhartha Sarma, Anushka Ravishankar, Samit Basu, Jerry Pinto, Manjula Padmanabhan, Ruskin Bond and APJ Abdul Kalam, among others. 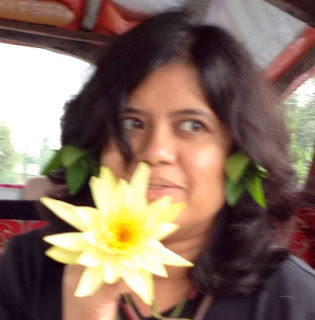 She has participated as speaker and resource person in national and international publishing events, like AFCC Singapore, Bookaroo, JLF, among others, and has taught at various publishing courses in India." In 2012, Sayoni along with Anushka Ravishankar, set up Duckbill, a publishing house for children and young adults, in partnership with Westland. 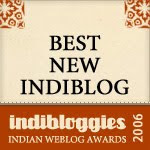 Delighted to feature Sayoni on Saffron Tree! ST - Hello Primary Platypus, please tell us the Duckbill story. Then they reached their respective homes, had soup and went to bed. And then there was Duckbill. We don’t have an USP. We just want to do really, really good books and find wonderful new authors. Westland has invested in Duckbill, and they handle the production, sales and distribution. They also do a lot of the marketing. Westland has been a wonderfully supportive partner to work with. Are there any particular genres you would like to focus on? We want to publish genres that we feel are in somewhat short supply in Indian children’s books, like historical fiction, detective fiction, school stories—all the things we love to read. But what we focus on is really dependent on the manuscripts and authors we get. And what is really important to us are great stories and strong voices. Do you plan to publish picture books in the future? We do, but we know that they are more difficult to sell. So we are going to wait until we are sure that our groundwork in terms of bookshop networks are firmly in place, and we are happy with our reach before we venture into that area. All our present fiction titles are published simultaneously as ebooks, but these are very much the no-frills versions, which indeed is all that these require. We do want to do fancy bells-whistles-trumpets—the whole Philharmonic ebooks too, but we believe that we need to create for each medium separately. So we have a few ideas of what we want to do, but we are really looking for a little mental space to develop the ideas. What is the life cycle of a book – you receive a manuscript, what happens next? We receive a manuscript which both of us like, and we do a little dance, and have soup and go to bed. We talk about it. What we liked, what we thought could do with some work, and we write to the author. Depending on the manuscript, this could take a while. Or—as has happened—we could receive an incredibly perfect ms which needs no long discussions! We see where it fits into our publishing schedule (we don’t publish every month, and we try not to have books all from the same age group in one month and so on) and fix a tentative pub date. We sign a contract. We decide who will be the main editor on the book. Editing happens at various points and depending on how much work the book requires. There could be several rounds of back and forth with the author—or just one. So there is no standard period that work on a book takes. When finally the author and both of us are happy with the state the book has reached, it goes for typesetting and proofreading. The cover has been done somewhere along the way. And then the book goes to press. Before the book goes to press, we start work on the basic marketing plan of the book, which starts off before the book is back from press. And then we start looking hopefully for reviews, and get friends and family all over the country to start checking bookstores in their citiies! Your favourites among the books you’ve edited? I love (almost) all of them! I definitely love all the Duckbill ones—maybe you’ve seen this little piece Anushka and I do for every book, called Why We Love [Book] on our blog? To pick favourites among books one has edited is a bit like picking favourites amongst one’s children. You love Maya because her nose is not runny. You love Moin because he does not pee in his pants. You love Maheshwar because he eats arbi. You love them all, but in slightly different ways. Top ten among children’s books! Yikes! The order is totally random. And if you ask me next week, the list will change. Okay, as soon as I press the send button I will think of three more and be plagued by remorse. Duckbill has published books by first-time authors. You are also actively nurturing talent with the Duckbill workshops. Tell us about the workshops. We always believed that there were a lot of talented children’s writers in India who just needed to think about what they were doing. And our workshops are an attempt to provide this thinking space. We have done three so far, and our belief has been totally proven right. The sheer amount of talent we have encountered is amazing. We did not see that reflected in one year of reading manuscripts at where we worked earlier. So we talk through the basics of writing for kids, the participants write a lot and everyone reads and critiques. The idea is to push people into experimenting with voices and genres which they would not normally write a longer piece in, because this is only a workshop and whatever they are writing is just an exercise. Also, people write in different ways—so it is useful to figure out what process helps each individual to write with most ease, so that they can use that method. Also, writing can be a very lonely process, and it is nice to have a small community of writers to belong to. And yes, ideas and stories have emerged which will see light of day in dingy corners of bookshops. There is a common notion that children’s literature is for those who lack the talent for writing adult fiction. Your comments? There is no such thing as an aspiring writer—unless you are aspiring to put pen to paper or fingers to keyboard. In that case, just do it. Aspiring to be published writers is a different thing. When one has written a story, yes, one wants a wider audience. But please think through about whether you want to write or you want to be published. The two are of course related but if being published is what is really important, then that sometimes affects the writing. Writing should be about the pleasure of writing. As soon as one has one eye on being published, somewhere that affects the writing—because one tends to start thinking of “what the market wants” (which no one knows anyway)—and that compromises the story you have to tell. So write it as a pure act of creation. Put it away for a month. Re-read it and see if you still like it. See if it is really the best story you think you can tell at that moment. See if all the characters still sound convincing. See if it fills you with pride. Then send it to a publisher. Also, if you are the parent of a kid who writes well or you are indeed a child who writes well, be patient. If you write well at twelve, you will write even better at eighteen. :) Lovely, Sayoni and Arundhati! I can hear Sayoni's voice loud and clear in all that she has said here. Wonderful work, ladies, with the platypus. We've enjoyed every one of the ones we've read so far. Keep them coming. Sandhya - my thoughts exactly! Fun Q & As! Thanks Arundhati. Thanks Chox, it was a pleasure!